Did you know that having an engaged, active, and growing Facebook community is one of the best ways to succeed in direct sales? But, we all get stuck sometimes on WHAT to post to get our direct sales Facebook groups talking! I’ve put together the ultimate list for you. Here are 101 Facebook group engagements post ideas for you to use! What is your superhero name? Color of your pants + object to your right = Superhero name! Would you rather go camping, shopping, boating, or dancing? If you had to marry your partner in the place where you met, where would the wedding be? Pick up the nearest book to you and turn to page 56. The first sentence explains your love life. Would you rather have a personal chef or maid or personal shopper or nanny? What is the strangest thing in your purse? If you named your children after your pregnancy cravings, what would their names be? We are going on a vacation! The plane leaves in an hour. Where are we going? You can only pick one thing to do this summer. What would it be? If your battery percentage were your age, how old would you be? Name a food using the last letter of the one before. Let’s see how long we can keep this going! You have $1000 to spend in 30 minutes. Which store are you spending it in? Say a line from a movie and see who can guess it! What movie has everyone else seen but you? What is on your do not playlist? If I could go anywhere right now, I would go to…. What is the temperature where you are at? What show do you love to bingewatch? What foods do you mix together that you think is so good, but others think it is gross? What is your go-to guilty pleasure? How often do you clean your oven? What is one thing you could probably throw away but just can’t? What is your one must-have makeup item? You are stuck in an elevator with a famous person. Who would you pick to be stuck with? The last tv show you watched is now your life story. Name that show! Show us your very first Facebook profile pic! Snapchat time! Post your best Snapchat filter photo! What is the first word that pops into your head when you read the last word in the comments? What makes it feel like summer to you? What collection did you have growing up? I cannot live without my…. What goes on your tacos? #ThankfulThursday: What are you thankful for today? Have you ever done something you thought you never would? What is one movie you can quote word for word? List a song starting with the letter A. Keep it going in the order of the alphabet! Wine Down Wednesday- Red or White? What are you most excited about this week? What is one food you hate but everyone else seems to love? #SundayFunday – What plans do you have for the day? What would you rather do on a Friday night? Go out or stay in? What is one thing you always forget at the grocery store? Which is worse to step on: Legos or Cars? To see how easy it is to make up a graphic for any of these ideas. Just follow these 3 simple steps. Use any (or all!) of these ideas! 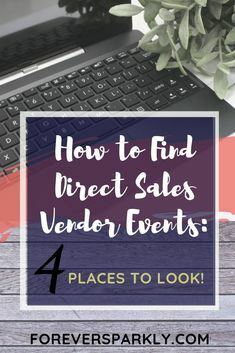 You can post them directly to your direct sales Facebook groups or better yet, create an original graphic using your own branded colors and fonts. With all of these ideas, it’s important to remember WHY they work to get your Facebook communities engaging. I’ve mentioned before that people love to give their opinions and share their lives and experiences. These Facebook group engagement post ideas are prompts to get your group chatting away! Want more engagement post ideas? Click for 50 GIF Facebook group engagement post ideas. You will even learn how to make your own GIF! Want epic direct sales graphics training? Follow me here! Learn how to effectively manage running multiple businesses! Click to purchase How to Run 2 Direct Sales Businesses. You are spinning your wheels managing all the tasks that come with running multiple businesses. Learn which channels to focus on and use over 30 custom social media templates to help you schedule content. Click for a free preview! These are great tips! Facebook group engagement is so important! Thank you Raewyn! Having great engagement, even in a small group is key! Love, love, love these engagement posts ideas! Thanks for putting together a list of ideas so I can utilize them in the future! Thank you, Nicole!! 🙂 I hope some of these ideas get your community engaged! I really struggle with engagement posts. My FB family as it stands isn’t really into engagement posts like this, which is why I struggle with good ideas. Ironically enough, the people using them are other direct sales ladies. I know I have to find a brand of questions that work for me and the people I’m trying to attract. I hope this helps me narrow don’t what will and won’t work. Thank you, Amanda! Sometimes posting about your daily life can be a great engagement post. The key is to be consistent and encourage others to share their own experiences. Also check out my post on 50 GIF Facebook Engagement Posts as well for more ideas and inspiration! I’ve been searching the web for this! Thanks for putting such a great post together ? I’m so happy to hear you loved this post! Thank you! Love this! Thanks for compiling and great list. You should totally offer this as a printable or download. Hi Penny! Check your email for a reply from me! Just what the doctor ordered here ladybug! Thanks so much for sharing as I was stuck in a creative pickle with what to post to FB groups…. You’re welcome! Be sure to check out the post about 50 GIF Engagement Questioms to ask too. Enjoy!